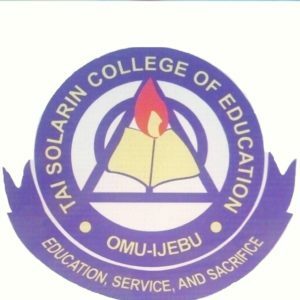 TASCE Post UTME Form is Out | TASCE/OOU degree affiliated post UTME form is now on sale – Candidates interested in the Tai Solarin College of Education (TASC) (OOU Degree Affiliation) can now apply online. This is to inform members of the public & prospective students who wrote the 2018 JAMB UTME & scored a minimum score of 180 that the National Universities Commission has approved the academic affiliation of the College with the Olabisi ONABANJO, with effect from 2018/2019 academic session. Guidance & Counselling. should contact the Centre for Degree Programme (CEDEP) of the College for further details or CALL : 08061662478; 08034917137 or 08034447348 for full details on the admission procedure.